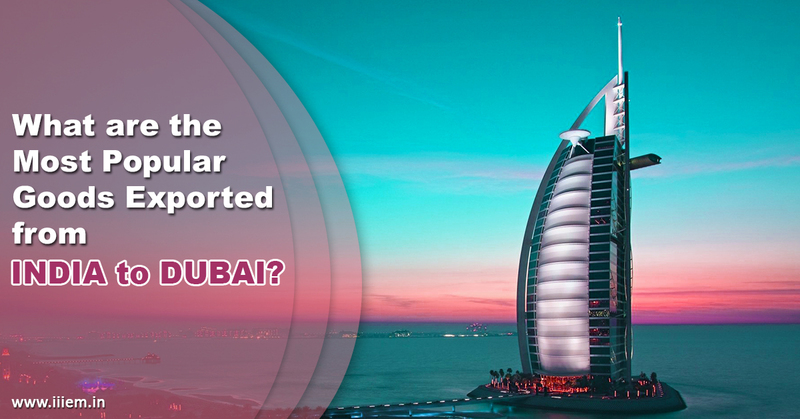 What are the Most Popular Goods Exported from India to Dubai? United Arab Emirates and India shares one of the most strategic and comprehensive relationship as compared to other Arab countries. Since years, India has been a leading exporter of oil as well as non- oil products to UAE. Almost 9.2 percent of the total import of UAE is from India. Ties between the two countries are historic and UAE acknowledges India as a major partner in trade. Food items are the major export of India in UAE but along with that, UAE also imports machinery, jewelry, pearls, vegetables etc. As per a survey was done in the year 2014, India and UAE had business trade of $60 billion. It is been expected that both countries will have a trade of $ 100 billion by the end of 2020. Pearls, metals, stones and similar other products are exported by our country to United Arab Emirates. In the year 2017, the export from India stood to 12042190 thousand dollars. In the financial year 2017, United Arab Emirates imported 4565997 thousand dollars of mineral products. India is been considered as a leading producer of apparels and clothes and exports it to various countries. India exports huge stock of unstitched apparels and clothes as well. In 2017, UAE imported 1960509 thousand dollar worth of stitched products and 1501497 thousand dollars of unstitched products from India. India is amongst the largest manufacturer and producer of Iron and Steel. When it comes to any sort of exportation of Iron and steel products, India is a valued partner for UAE. In 2017, UAE imported 772598 thousand dollar iron – steel products and 447807 thousand dollars of articles of the same from India. It includes oats, flakes, bread, fruits, nuts etc. In 2017, India earned 889350 thousand dollars by exporting the same. In 2017, India exported boilers and machineries of 689174 thousand dollars. The export of electric equipments and other products reached to 612785 thousand dollars. India is a country that has various chemical factories as well as research institutes. India earned 340272 thousand dollars in 2017. India earned 291784 thousand US dollars by exporting such compounds. By exporting the above products to UAE, India earned 168871 thousand dollars in FY 2017. India produces a huge amount of meat and its similar products and thus exports to various countries over the world. UAE imported 166619 thousand US dollars in 2017. How Warehousing Can Be Useful For Global Traders? How Can You Prepare an Export Quote? Which Mode of Transport is right in Export Import Business?